Music In Our Schools Month: more ways to celebrate! 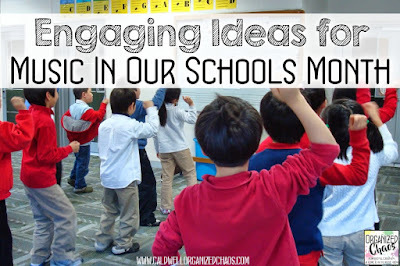 After 4 years at my current school, I'm ready to make some updates to the ways I celebrate Music In Our Schools Month (MIOSM). Although I have loved the things I've been doing, there were a few things that I knew I could do better, and some new ideas that I wanted to try just to keep things interesting! If you missed my original post describing all of the ways I celebrate MIOSM, be sure to check out that post, linked at the end of this one, for more detailed descriptions of how I have been doing things up to this point, as well as TONS more bulletin board ideas! This year I'm making several updates to my tried-and-true MIOSM activities. The biggest change is going to be with my busker-style performance program (read this post for more details on how I have run that in the past), which I am replacing with in-class informances/talent shows. 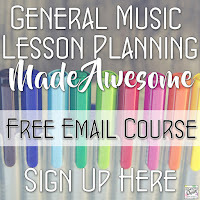 I'm going to be sending home a letter to parents, emails to staff, and putting up flyers at school to invite anyone to come to an "open music class". There will be 1 open class period for each class, most of them falling in the last week of March. 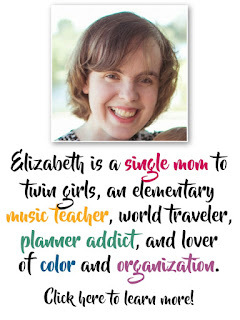 Throughout the month, I will spend time with each class preparing a short song for the class to perform together, as well as inviting individuals and small groups of students to perform whatever kind of musical talent they would like to showcase (dance, instruments, singing, etc). On the day of the open music class we will perform for our guests, and for the older students, I am planning to have them talk about their favorite way(s) to enjoy music in or out of school. To make up for not having music playing as students are entering school in the morning (one aspect of the busker-style performance program that I will lose with this change), the principal is planning to play music from different genres each morning over the loudspeaker during the month of March. I'm also updating my 2 in-class activities: the Disco Duel and Rhythm Battle. Confession time: I've been using the same materials I made for myself in a Word document 10 years ago for both of these activities until now! I was definitely due for an update. You can read more about each of these activities in my previous blog post, but basically the Rhythm Battle is an ongoing competition between classes within each grade level to see which class can perform the most number of rhythms in a row without mistakes to a steady beat. They get a score each time they come to music class during March, and at the end of the month the class with the most total points wins. The main updates I made to the Rhythm Battle materials were to add more rhythms so none of them were repeated (before I had 50 rhythm patterns but the second half was a repeat of the first 25 rhythms), and to add a button to the bottom of each slide to go back to the beginning. Because classes get to keep trying as many times as they can while a song is playing, I was having to click the back button over and over again before when they messed up in the middle of the song! I'm most excited, actually, about the updates to my Disco Duel materials. The Disco Duel is a friendly contest within each class (split up into teams) where basically they have to perform certain moves (shown on movement cards) in order for the correct number of beats. When I sat down to spiffy-up the movement cards, it hit me that I should include some of those dance moves that all of the kids are obsessed with right now (like the "dab" and "nae-nae") along with my normal moves. Much as they can get annoying sometimes, I'm all about bringing the musical experiences my students are having outside of class into the music room! I'm excited to try something a little bit different this year- I think it will be a lot of fun! And I'm so looking forward to using my updated materials for Rhythm Battle and Disco Duel (clicks the links to see the updated materials in my store). Make sure to check out my previous post to get more detailed directions on how to do these activities in your own classroom- they are so much fun and you can use them any time of year! 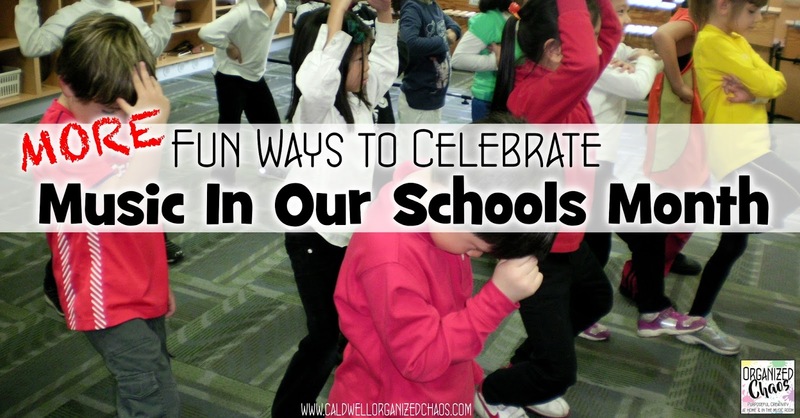 What are your plans for celebrating Music In Our Schools Month (if at all)? Even though it is admittedly a bit of a push each year to get my act together, I really think it is not only a fantastic, fun way to get kids excited at a time of year when everyone is antsy, but it's a great way to get the entire school community excited (and more educated) about music! I love these! I love your bulletin board as well. 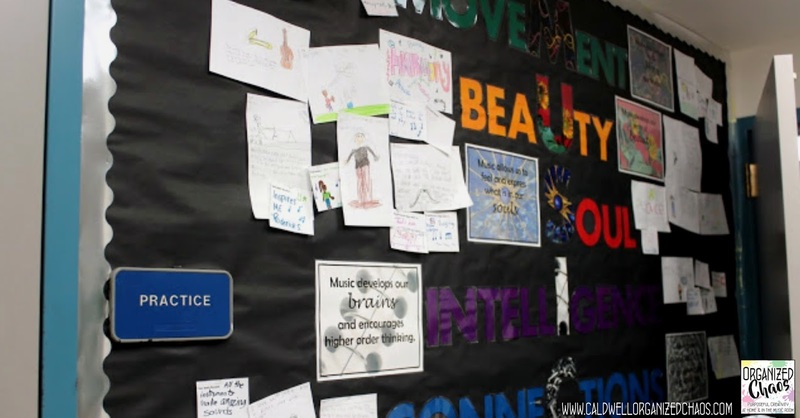 I a similar one, but I'm wondering how you had the kids create new cards for the wall. Did you do it during class or just let them do it on their own and bring it in? I had them do it during class. I actually used it one day as part of my sub plans when I was out, and then I also had a couple of classes that were ahead of the others in their grade level for one reason or another and I had them do it as one way to get the classes lined up a little more closely.